Sarah Palin says man isn’t to blame for climate change, citing the fact that some glaciers in Alaska are expanding. 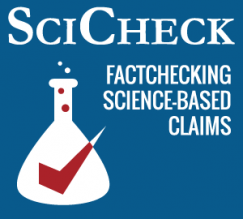 But an individual glacier’s growth does not disprove the existence or causes of global warming. 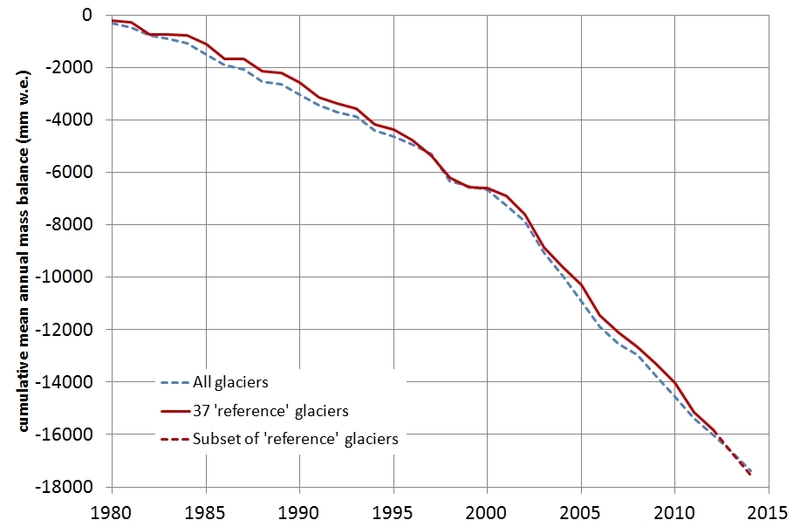 In fact, the vast majority of glaciers in Alaska and around the world are losing ice rapidly. Palin, Sept. 6: I take changes in the weather, the cyclical changes that the globe has undergone for — since the beginning of time, I take it seriously, but I’m not going to blame these changes in the weather on man’s footprint. Obama was up here looking at, say, the glaciers and pointing out a glacier that was receding. Well, there are other glaciers, though, that are growing up here. And he didn’t highlight that, but he used glaciers as an example. Palin may not blame climate change on humans, but science does; we have covered before how scientists say it’s extremely likely that most of the observed temperature rise has been caused by human emissions. Her claim that some glaciers are growing in Alaska is true, but this isn’t a reason to question human-caused climate change. Regional variations in precipitation patterns may cause some glaciers to grow, but most glaciers around the world are losing ice as the climate warms. President Obama did indeed point out a receding glacier during his trip to Alaska from Aug. 31 to Sept. 2. He visited the Exit Glacier and called it “as good of a signpost as any when it comes to the impacts of climate change.” That glacier has retreated about 1.25 miles over 200 years, according to the National Park Service. Though a single receding glacier also does not provide any proof of climate change, the president talked about the wider trend. 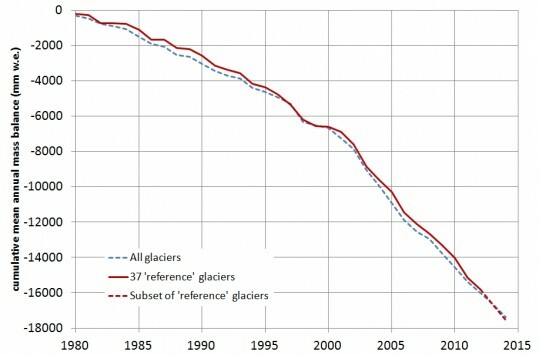 During his speech to the GLACIER conference in Anchorage, Obama said that a recent study found Alaska’s glaciers are losing 75 billion tons of ice every year. That’s accurate. Glaciers normally grow through snow accumulation in the winter, and then recede by melting in the summer. But lower levels of snow accumulation or higher temperatures will lead to an imbalance in that process, and the glacier will retreat and lose mass over time. On CNN, Tapper pushed back at Palin, saying that “90 percent of glaciers, according to scientists, 90 percent of them are — are shrinking, are melting.” According to the National Snow and Ice Data Center, based at the University of Colorado at Boulder, that’s true for alpine glaciers, which are most susceptible to retreat: “Over 90 percent of the measured alpine glaciers in the world are retreating, in almost every major glaciated region.” The NSIDC explains that the causes are “varied,” but “the underlying primary causes are a warming climate and the effects of increased soot and dust in areas of higher agricultural and industrial activity.” Both the Exit and Hubbard glaciers are alpine, of differing types — the former is a valley glacier, with its flow confined by valley walls, and the latter is a tidewater glacier, which terminates into the ocean. According to the most recent WGMS data, only 22 of the 126 glaciers it analyzed were adding mass, while 104 — about 83 percent — were losing mass. In spite of that trend, a minority of glaciers, such as the Hubbard, will likely continue to expand even with warmer temperatures. For example, a study published in 2014 in Nature Geoscience described the stable or growing glaciers of the Karakorum region in Asia. The reason for those glaciers’ deviation from the global trend has to do with localized changes to winter precipitation — snowfall, essentially, helps the glaciers stay stable or grow. The authors concluded that “[o]ur findings suggest a meteorological mechanism for regional differences in the glacier response to climate warming.” In other words, local weather patterns play a role in how glaciers respond to climate change.